Anna&apos;s angry that Dixon got away. Paul demands to know how Morgan knew about the shipment, but Carly has no idea. 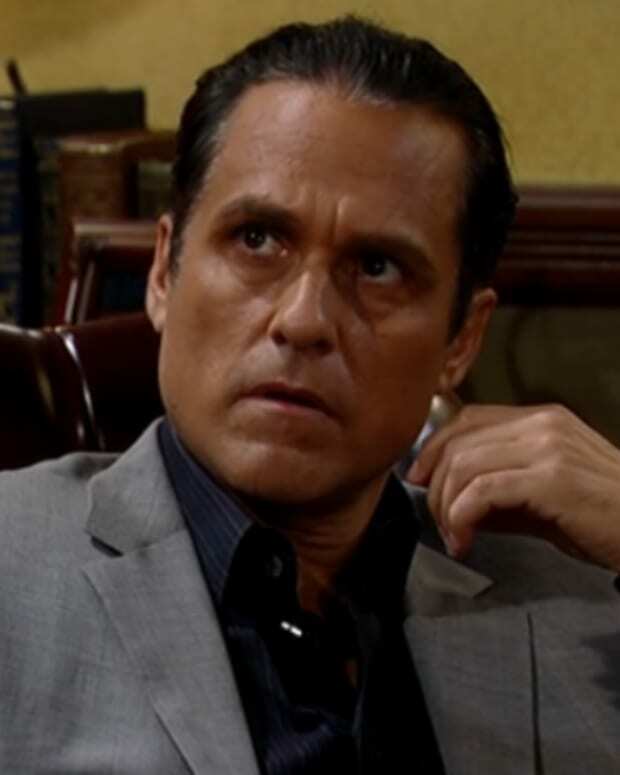 Paul says Morgan showed up armed and wonders if Sonny put him up to it. Carly denies that and storms off. 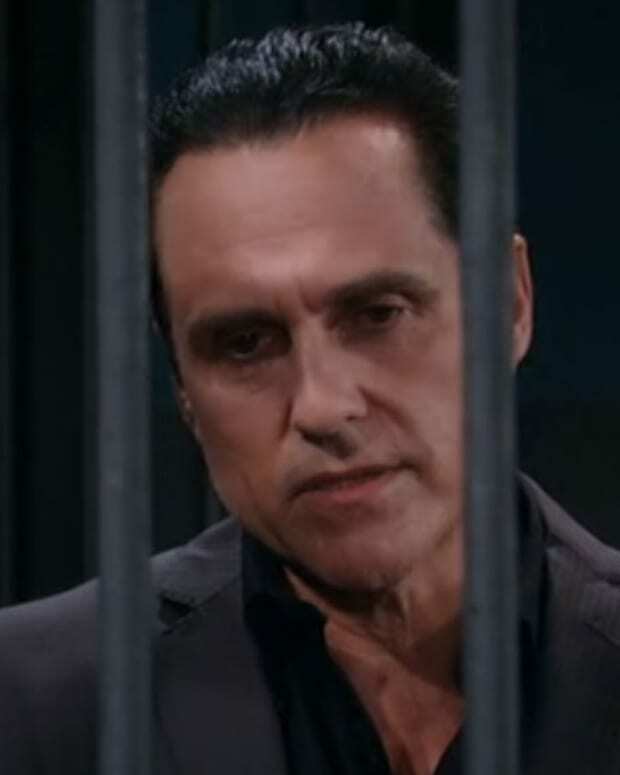 Sonny offers Dixon his car and two million dollars to leave. Julian ups the amount to 5 million. Nikolas offers a helicopter and resources to get to Canada. Alexis lets it slip that one of the girls is Sonny&apos;s daughter. Dixon agrees to leave, but only with a hostage and insists on knowing which one it is. Andre shows up at the PCPD to take control of Morgan. Jordan gets angry because Morgan is a material witness. Andre says Morgan is having a manic episode and needs to be taken to the hospital. Morgan refuses to go until Michael points out that he&apos;ll get information on Kiki if he does. Dante finally realizes that Lulu is in the water, jumps in, finds her, pulls her out and does CPR to save her. Dante takes Lulu to the hospital. Lulu&apos;s grateful that he saved her. Sam claims she&apos;s Sonny&apos;s daughter, but Dixon doesn&apos;t believe it. Ava steps up and tells Dixon to take her as hostage but he doesn&apos;t think that would be upsetting to Sonny. Kristina steps up, so Dixon grabs her. Sonny stands up and gets the best of Dixon. Carly gets to the church in time to see Sonny standing. Morgan refuses to be restrained once he&apos;s at the hospital. Andre tells him that he&apos;s in grave danger and needs to trust him. Anna and Paul get to the church and take Dixon in. Paul tells everyone to stay put to be interviewed. Carly questions how long Sonny has been lying about his disability, but he says he&apos;ll explain in due time. Carly tells Ava that Kiki was shot on the docks. Alexis tells Sam that her family should never have been targeted and puts the blame on Ava. She questions Sonny, who claims he had no knowledge of anything other than that Ava had dangerous friends. Paul stops Ava from leaving, but she slaps him and blames him for what happened to Kiki. Ava gets to the hospital and screams at Morgan, blaming him for Kiki getting hurt. Jordan&apos;s angry with Paul who thinks it&apos;s been a good day, because the guns were confiscated and Dixon is in custody. Anna feels the whole thing wasn&apos;t well planned and wants no credit. Carly goes to the pier and angrily throws the guns in the water. When Sonny shows up, she demands to know how long he&apos;s been lying to her and the kids. Carly blames him for Morgan having a manic episode and trying to intercept the shipment. Carly knows Sonny lied so he could take his enemies by surprise but says Kiki got shot because of it. 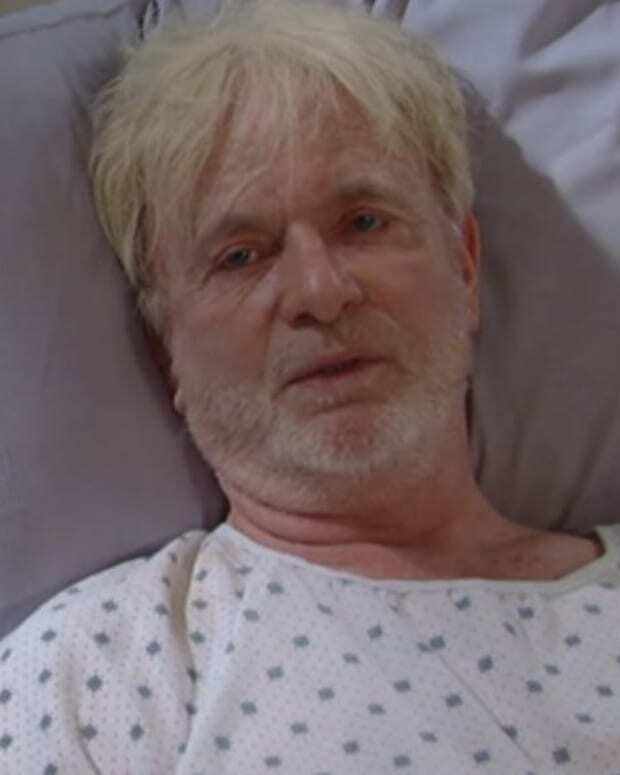 Sonny says he had to lie to protect them and would do it again.